Here’s the deal – no movie night is complete without snacks. Are we all in agreement? Good. The same goes for a solid Netflix binge, though if we’re being constructive humans, we need to acknowledge that a party-sized bag of corn chips is not the most glamorous option. Sorry guys, but it’s true. It’s time to dust off the crumbs and put some effort in! If you’ve got some pals coming around for a weekly Bachelorette episode party, or if you’re keen to snuggle up with your loved one and the latest blockbuster, do so with some creative snacks that will be as much of a talking point as the movie or episode (or season) you’ve chosen for the night. No show has made our mouths water quite as much as Master of None’s second season. Seriously, it showcased several of New York City’s finest dining institutions, as well as practically giving us all a guided tour of eating in Italy. In one episode, Aziz Ansari’s Dev cooks up a tasty looking spaghetti carbonara. If you want to settle in and take in season two of the show, we reckon you should do so with a big ol’ bowl of pasta, because you’re going to want some after hearing Dev talk about pasta nearly every dang episode. This one will be easy to accomplish, as food-oriented YouTuber Binging with Babish had a crack at replicating the dish with some success! Watch Master of None on Netflix. The true test of any binge-watch session, Diane, is the quality of the culinary accompaniment. 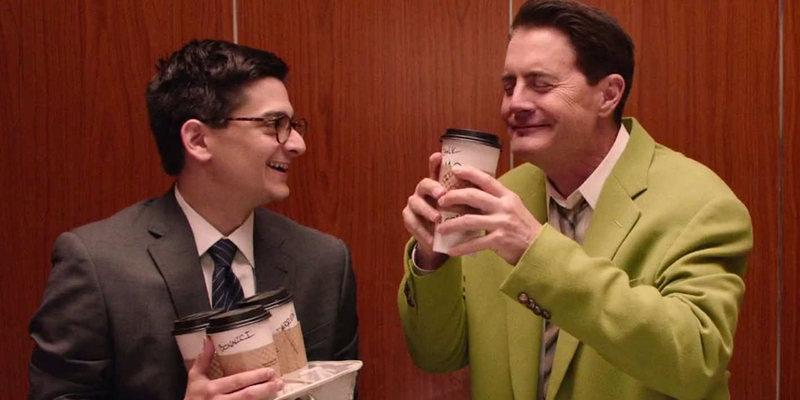 Although Twin Peaks: The Return has been out for a few months now, its weekly release schedule means that a few people have been saving up the episodes to binge watch in a big block. If this is you, we like your style, because now you can take the opportunity to pair your viewing with some Twin Peaks-inspired snacks. Twin Peaks is synonymous with a few things – Lynchian surrealism and a love for coffee and pie. First of all, you’re going to want to brew a pot of coffee, but be sure to make it the good stuff. Second, test your baking skills with a pie or two. If you want to make a cherry pie as damn fine as Norma Jean’s, we’ve found some recipes to try at home. Twin Peaks: The Return can be watched on Stan. We all fell head over heels for the first season of Stranger Things – how could we not? The nostalgia, the performances, the spine-tingling horror – we couldn’t get enough of it and anticipation is building for season two. We already know that we are in for a massive binge this time around, so we better be well fed. 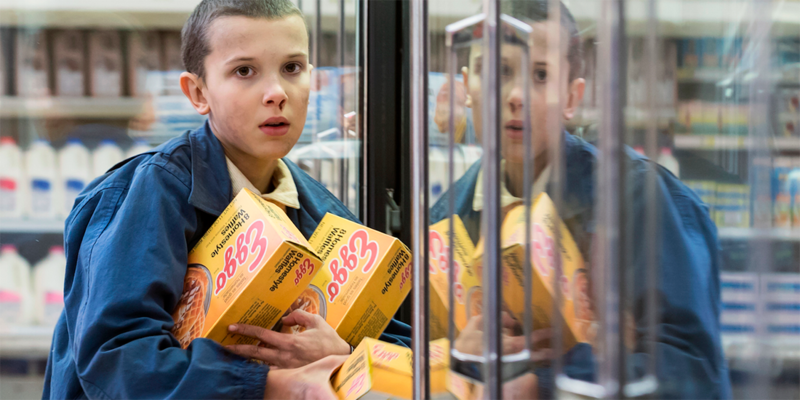 Eggo waffles featured prominently in Stranger Things (Eleven had a particular fondness for them), so we’re eager to factor them in. Whether you whip up your own batch (look at you and your waffle maker!) or grab yourself a box of frozen goodies Eleven style, you can jazz them up with these fancy waffle topping ideas. Stranger Things can be viewed on Netflix, with season two airing from October 27. A word of warning – Nick Kroll’s brand-new animated hit is not for children. Big Mouth is a tale of innocence lost, of the trials and tribulations of puberty and growing from adolescent into an adult. As hilarious and entertaining as Big Mouth is (and trust us, it is really good), it does make us long for our salad days, when we could eat what we wanted without caring about hormones, metabolism and their physical manifestations. So it makes sense that the perfect culinary pairing with the show is all the stuff you’d eat at a children’s birthday party! Lollies, cakes, fairy bread, pastries – damn, our mouths are watering. Seeing as we’re adults now, we’re going to cook our own sausage rolls and party pies, but if you are just as happy with the frozen variety then more power to you. After all, we didn’t give a fig where they were made when we were tots. View all episodes of Big Mouth on Netflix. Legions of fans swooned mightily for the first season of Riverdale – a show about a group of high school students attempting to crack an unsolved murder. With characters and locations plucked from the old-school Archie Comics series, the show is being hailed as the next Gossip Girl – only more sinister. 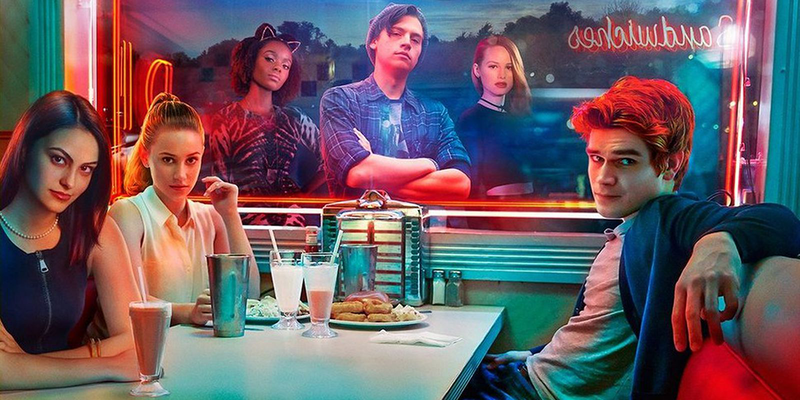 The tale is set against an all-American inspired backdrop (with many scenes set within Pop’s Diner) so we’re thinking a selection of quintessential diner dishes would serve for any binge party for Riverdale season two. You’re going to want to whip up a combination of bites if you are catering – try a diner feast of French fries, some old-fashioned mac ‘n’ cheese, onion rings, chocolate milkshakes, cheeseburgers and lemon meringue pie, then settle in for the televised goodness. Riverdale is screening now on Netflix. This one isn’t a TV show, but it is a gimme. There are so many layers. It’s almost too easy, so we’re not counting it. It’s clever though, right? Think about it.